Your thyroid is the conductor of all of the metabolic, or biochemical, processes in your body. When something goes wrong in this tiny gland, it can have far-reaching effects on your health and wellness. At Renova Medical Center in Columbia, Missouri, we offer innovative and long-term solutions for thyroid problems that regulate your hormones, allowing you a better quality of life. To learn more, call or book an appointment online. What is the thyroid gland's job? Your thyroid is a small gland located in the front of your neck, which produces and stores the hormones responsible for your metabolism, which regulates how your body uses energy. When your thyroid hormone production is off kilter, it can have a wide-ranging effect on your body. Some experts estimate that more than 80% of Americans have an undiagnosed thyroid condition. The problem for most of these under-diagnosed people is that they can go 20-30 years with symptoms before the blood work shows anything abnormal. Not feeling “right” is reason enough to visit us to see if your thyroid may be at the heart of the matter. Why don’t thyroid issues show up in blood results? We perform extensive analysis of your blood to check for any micronutrient deficiencies. Your cells need the energy to function properly, but you may be feeding them the wrong nutrients. We approach thyroid treatment by showing you how to get the proper nutrients you need through better nutrition. 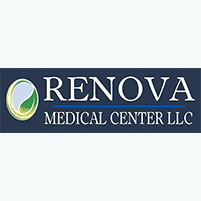 Renova Medical Center has found great success in restoring proper hormone balance through detoxifying the body. In today’s world, toxins are more prevalent than ever and, over time, they build up and disrupt your body functions. Through a tailored detoxification plan, you can get rid of toxins to allow your body to function and heal as nature intended. To get on the road to great thyroid health, call Renova Medical Center or book an appointment online.